The metabolite of a multiple sclerosis drug appears to slow the onset of Parkinson’s disease. The drug dimethylfumarate, or DMF, as well as its metabolite monomethylfumarate, or MMF, both increase activity of Nrf2, a protein that helps protect the body from oxidative stress and inflammation characteristic of both multiple sclerosis and Parkinson’s disease, according to neuroscientist Dr. Bobby Thomas. After receiving the neurotoxin MPTP, mice experienced a dramatic loss of dopamine-producing neurons – in fact, losing half with a few days – and rapidly developed Parkinson’s-like symptoms. Patients, on the other hand, develop the symptoms slowly over the course of many years. By the time they seek medical care, they may have lost 30 to 50 percent of their dopaminergic neurons. The metabolite MMF appears to activate Nrf2 more directly, and actually increases glutathione and improves mitochondrial function, as brain cell studies showed. While the DMF drug ultimately produces a higher Nrf2 activation, the researchers found the MMF effect was sufficient to stop the dramatic neuron loss in the animal model. Morgan recommends regular exercise as a means of reducing the decline of Nrf2 associated with aging. Parkinson’s disease is a progressive neurological disease, which can begin with mild symptoms that worsen over time. Here is a list of the 12 early warning signs to pay attention to. 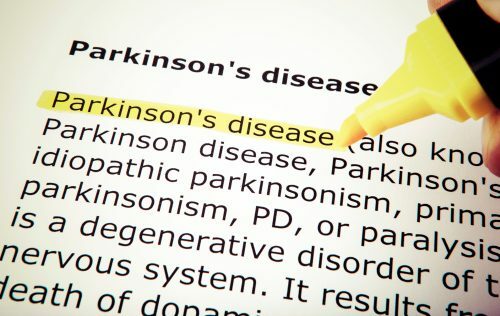 Early diagnosis of Parkinson’s disease is crucial for slowing down the disease progression, which is easier in the beginning compared to when the condition is advanced. If you spot any of the symptoms listed above, go see your doctor right away.